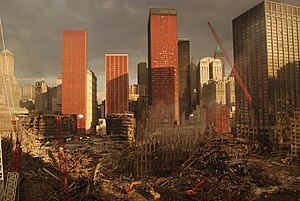 Sadly, the death toll count from the attacks on September 11, 2001 may continue to increase, as more conditions and diseases from the debris and air that surrounded first responders at Ground Zero come to light. Early research indicates that many first responders attending to the Twin Towers collapse in the state of New York, USA, may have developed early stages of kidney disease. The National Kidney Foundation is pushing further research into this issue in hopes of preventing failing kidneys and the need for life-saving, costly treatments, such as dialysis and organ transplants. Hopefully, if the preliminary research proves to be accurate, then those first responders can be treated effectively with inexpensive, simple methods that will improve kidney function to that of a healthy individual again. 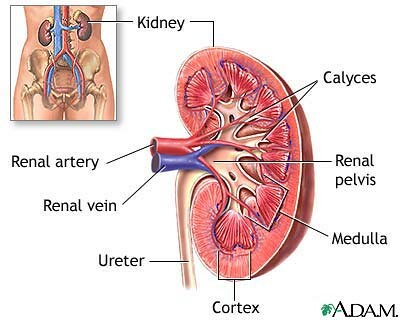 Read more at the link below, and take the free self-assessment to see if you have symptoms of Albuminuria, “one of the earliest signs of kidney damage,” according to the site. National Kidney Foundation Supports 9/11 First Responders. Migraines. Oh how I suffered all last night, since dinner time and through the night, finally dragging myself out of bed in time for my meds. I get them often but usually keep them under control so that they are not debilitating. I take preventative medication twice daily, have a couple of different kinds of ‘onset’ medicines, and drink caffeine to boot. Yes, caffeine. For me, it tends to help. I think that’s until I began having these severe onsets on a regular basis, I never drank it. “I want mom to go take some medicine now.” So cute, my little one! Yes, it is sad that at just 3 years old he already knows everything about what it takes to help make Momma feel better from a migraine. I never thought a little one – such a little one – would or could be quite so caring! He hasn’t seen my husband take care of me, not really, as generally I stay in bed and my little one is off playing while my husband quietly slips in and out with a pill every several hours. So this was not even modeling. It was just my darling Mister E, all on his own! Makes me smile through the pain. And makes me write about this even though I am still fighting off that terrible migraine. At least I am functioning again. And reading The Tapping Solution by Nick Ortner that my mama gave to me for my birthday. If you don’t know what EFT is, it’s Emotional Freedom Techniques, which even Harvard has done studies on. It was developed by Gary Craig, a student of Dr. Roger Callahana psychologist who, as a last resort, attempted using meridian endpoints with a patient. Both doctor and patient were shocked by the results. By the way, the tapping seemed to work the first time I tried it, for a bit, but not the second and since I am only on page 27 I have to say it’s either because I don’t know enough yet or because there are deeper issues or, most likely, BOTH. Dangit. I really need to be functional – but hey! I am! Look at me, typing away during my darling Edan and my quiet times (since he doesn’t like to nap, to my chagrin). Science fiction. What is it, really? One person’s wild imagination? A couple of authors bent on imposing their wild viewpoints on aliens and monsters and end-of-earth stories? Ray Bradbury was a leading Sci-Fi author. Personally, I enjoyed Fahrenheit 451, about book banning (which leads to another post entirely!). But what about Star Trek‘s communicator that Captain Kirk always used? Would you see it like today’s cell phones? Listosaur.com does. Check out their neat list (and yes, they mention Ray Bradbury)! I remember when there were no computers. I remember hearing about the very first computer, and how it was so large it took up an entire (large) room. It seems that technology plays a very large part in sci-fi venues – or at least if not official sci-fi venues, then what some naysayers might consider that – and it seems that some of that has actually come to pass. For example, do you remember anyone that was skeptical about the idea of the human race shooting up to the moon, much less walking on it? The moon was made of cheese, right? And, uhm, wasn’t it a known fact that the earth is (ahem) flat, at some point, too? Sci-fi. Too hard to believe. Ridiculous. And who takes an organ out of a human body and puts into another human body, for goodness’ sake? And on top of that, expects that person to live?? Or, even more fantastically, expects BOTH of them to live??? Well, that’s exactly what science is doing today, thanks to the “Father of Transplantation,” Dr. Thomas Starzl. How do I know this? My father donated his kidney to me in 1993. He is still alive and well. Also, I have talked to Dr. Starzl via email. My nephrologist used to work with him. The following article is dear to me because since that transplant I have needed 2 more, and they have had to come from cadaver donors. I count myself among the extra fortunate to have been able to acquire these in lieu of dying while on dialysis, as so many have, and continue to do. I have read other articles about science experimenting with creating kidneys from cell tissue, which I think is also amazing. Doctors can’t always catch things like this without you doing your part and telling him/her any unusual symptoms like fatigue, swelling, unusual weight gain/loss that you can’t explain… taking your blood pressure only on doctor’s visits is not an accurate representation of what is going on with your body. When you go to the pharmacy, use their blood pressure machine there (typically there is one nearby, where you pick up) and keep track of it. Eat healthy and try to splurge only 1-2x/week. Be a good role model for your kids. Drink lots of water. Don’t worry, I’m preaching to myself as I write – it’s not like I do all these things regularly. Well, I do take my vitals twice a day everyday. Sometimes (cue Twilight Zone theme music) “Truth is stranger than fiction…” As Mark Twain once noted. Rat Kidneys Made in Lab Seen as Step to Human Transplants – NYTimes.com.